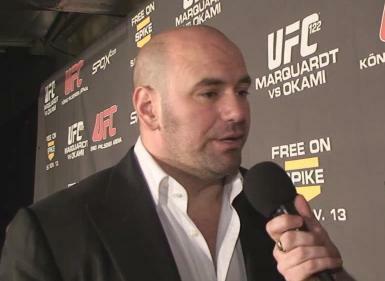 UFC President Dana White shares exactly what he thinks about the UFC 122 main event. He was happy with most everything else but was heavily critical of the main event and in particular Nate Marquardt. The reporter here brings up an interesting scenario. He tells White that his nightmare must be if Yushin Okami ends up fighting Anderson Silva for the title and Okami puts on one of his “cautious” performances and Silva puts on some crazy performance like he did in Abu Dhabi. – For the record, yes that would be an absolute nightmare! White admits with a raised eyebrow, “Whattaya gonna do? ” Okami was supposed to get this title shot a long time ago and was injured, now he defeated Marquardt to get it and deserves the shot.